Bermuda House is a delightful place to spend a holiday. It is a 4 Star Gold Award Victorian villa steeped in history and right in the centre of Ventnor on the south coast of the Isle of Wight. Look out of the windows and there are outstanding sea views from the front and downland views from the rear. Plus there are all the mod cons that you’d expect for a family holiday in the twenty first century. 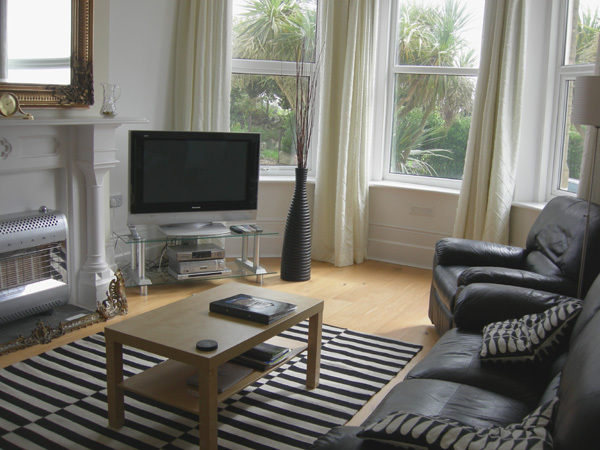 The villa is situated centrally in Alexandra Gardens, one of the best known streets in this charming coastal town. The harbour and the award winning sandy beach of Ventnor Bay are a couple of minutes walk away, and the shops are even closer. Within ten minutes walk there are numerous places to eat and drink. Outside is a private road with exclusive parking for two cars and there is a private fully enclosed cliff-top grassed garden with a tropical tree. Bermuda House is the ideal base for a family holiday on the island or to get the wider family together to celebrate a special occasion. It has been completely refurbished, restoring many Victorian features. Up to ten people can stay in five bedrooms. 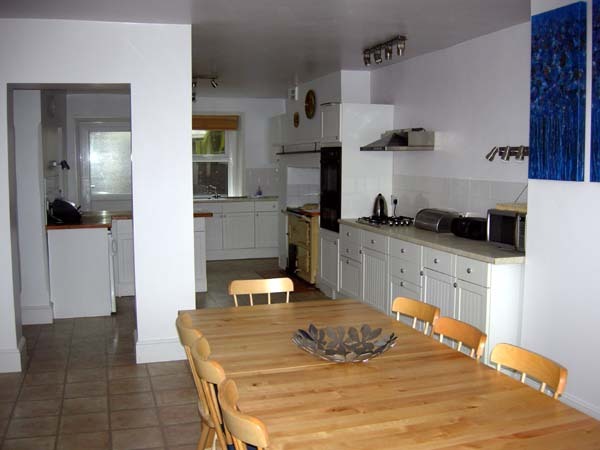 A well-equipped massive front to back kitchen/diner is an outstanding feature of the building. New oak flooring has been fitted, and the house is decorated and furnished in a contemporary but sympathetic style. 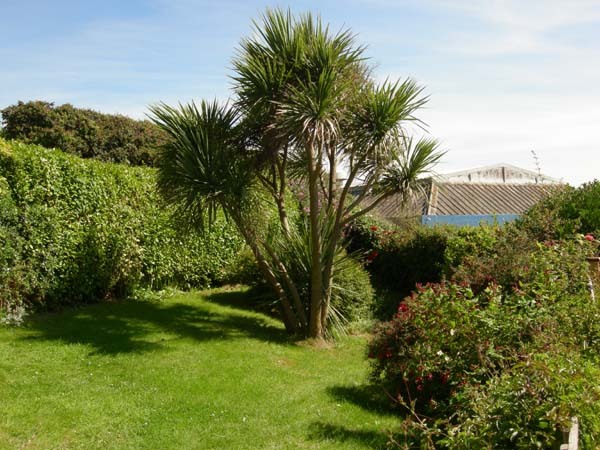 Bermuda House is in a conservation area and is available as a holiday cottage for whole weeks and for short breaks and weekends outside the main season. Please e-mail the owners if you would like further information or to make a reservation. Ventnor is a charming Victorian coastal town built on the sheltered undercliff on the Isle of Wight’s south coast and dominated by the island’s highest point, St Boniface Down. Known to the Victorians as “England’s Madeira”, the town is noted for its sunny summers and mild winters. Ventnor has become one of the UK’s best known boutique destinations and is ideal for a relaxing break. 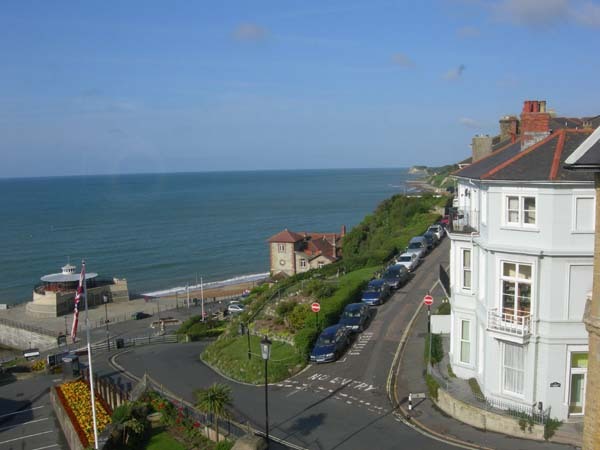 If you are looking for somewhere smaller to stay in Ventnor we have other options: Gills Cliff House has four bedrooms and sleeps seven, and there’s our two bedroom properties, Beach View Apartment, at the other end of the bay or Bayview next door to Bermuda House. Click here to see a video about Bermuda House. 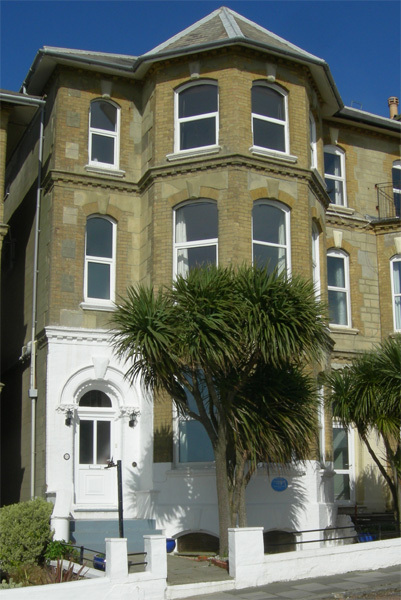 Bermuda House is owned by John Allen, and Ventnor Self Catering Ltd are acting as letting agents on behalf of the owner.